Columbia is a part of the Nordic Group of Companies, a family-owned management and manufacturing business headquartered in Baraboo, Wisconsin with manufacturing operations extending throughout the United States, Mexico, and Europe. The Nordic Group believes a fiscally conservative approach to business and managed growth leads to long-term sustainability. These ideals as well as our founder’s core values of family, integrity, leadership, teamwork, knowledge and excellence permeate our organization and day-to-day decisions. American workers in Reedsburg, Wisconsin assemble each of our products with a focus on producing vehicles with the longest lifecycle in the industry. Using the highest quality materials available, our energy-efficient vehicles serve our customers well for years to come. We believe longer-lasting products can go a long way in reducing our overall impact on the environment. 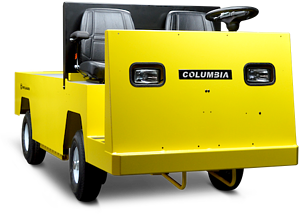 Columbia is one of a handful of vehicle manufacturers committed to exclusively building pure electric vehicles. As we work to reduce our overall impact on the environment, it is encouraging to know our final product is propelled by the cleanest commercially viable energy source with zero tailpipe emissions. 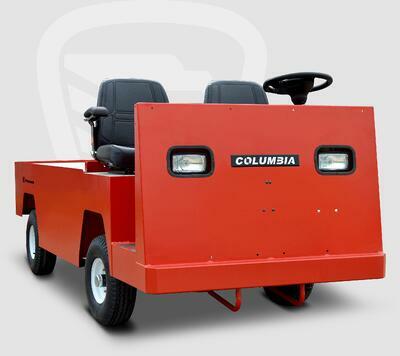 All of Columbia’s manufacturing processes are in compliance with each applicable governing body’s most stringent requirements. vehicles Steel frames and bodies with thicker gauged steel extend vehicles lifetime beyond what you might expect. harsh environments Powered by the most robust drive motor available, our vehicle to work in temperatures other vehicles simply cannot go. per charge Our vehicles are equipped with the most efficient power control system to provide unmatched range on a single charge. to charge vehicles Our efficient chargers minimize energy use during charging. to recharge batteries All of our vehicles are outfitted with intelligent recovery braking systems to recycle otherwise wasted energy. energy you need Easily programmable performance characteristics eliminate wasted energy, enabling users to use only what they need. While all of our vehicles are designed to operate as efficiently as possible in their respective environments, vehicles that will be operated on public roads meet or exceed all applicable NHTSA standards. Columbia has received the highest rating possible, a 10 out of 10, for our global warming and smog scores on the environmental performance label issued by CARB (California Air Resource Board). This is significant, as a typical internal combustion vehicle only receives a 5 out of 10 for both these ratings. With a heritage stretching back to 1946, Columbia is one of the most experienced manufacturers in the field. Over the many years, we've fostered long-time partnerships with well-known brands such as Westinghouse and Harley Davidson, and continue to grow throughout the United States.